... this Challenge shouldn't be that difficult. But as we've seen, sometimes these things can spiral out of control and present real challenges. 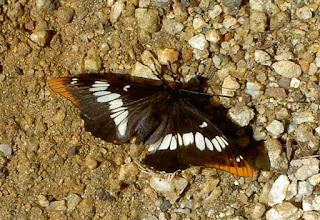 This summer has been a series of insect encounters. Luckily, few of them have been biting insects (mosquitos, ticks, ants, spiders, etc. 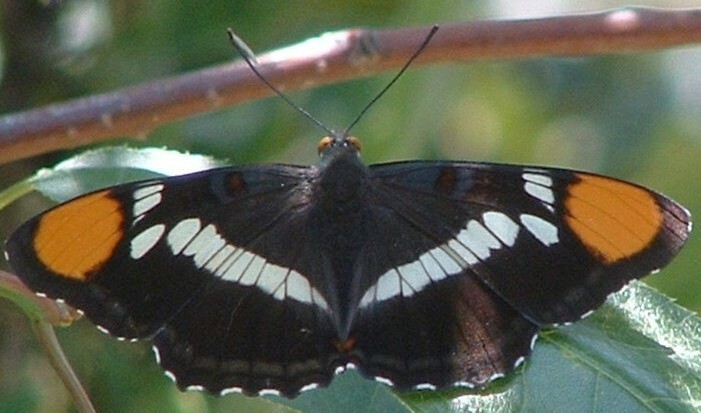 ), but instead they've been moments of beauty and wonder. Thing is, these lovely creatures are sometimes difficult to identify. Even though I like to think I recognize most flora and fauna, I find it difficult to remember which kind of insect is which. For today, three Challenges: Can you identify the common and Latin names of each of these? A few hints to get you started: These are all local to where I live in California. I list the county name where each was observed. Can you figure these out? ... than I thought. If you're like me, you thought that there might be as many as 24 time zones. You probably knew that China was all one giant time zone, and that Newfoundland (Canada) was a bit odd. But as we know, ofttimes when you start to look into something, things get more complex than you'd imagine. Let's look at our questions one at a time. 1. What time is it in Newfoundland (Canada)? And why is it different than the time in Prince Edward island (which is due south of Newfoundland)? and learn that the time in Newfoundland is GMT-2:30. Yes, it's NOT an integer number of hours different than GMT. (Unlike, say, the Pacific Daylight Time Zone, where I live, which is GMT - 7 hours; or the Atlantic Standard Time Zone (which PEI follows; defined as GMT - 3). Why off by 30 minutes? 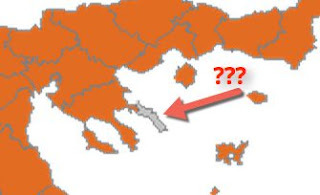 The NTZ entry on Wikipedia tells us that "This time zone exists because of the location of the island and the fact that it was a separate dominion when the time zones were established. The island of Newfoundland lies squarely in the eastern half of the Atlantic Time Zone, exactly three and a half hours from Greenwich. Since it was separate from Canada, it had the right to adopt its own time zone. While the entire province lies west of the standard meridian for a half-hour time zone, 52.5 degrees west longitude, this is also the near exact meridian of St. John's, the province's capital and largest city. In 1963, the Newfoundland government attempted to bring the province into conformity with the other Atlantic provinces, but withdrew in the face of stiff public opposition." Time zone map created by Brandon Rishel. When I asked him, Brandon kindly replied that he got the data from www.naturalearthdata.com and created it from that. 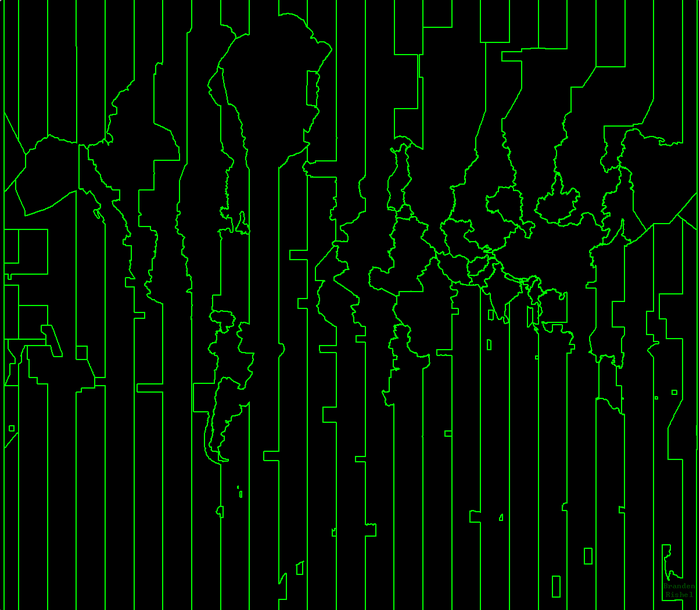 (In particular: ne_10m_time_zones.shp, from the 1:10m cultural vectors.) 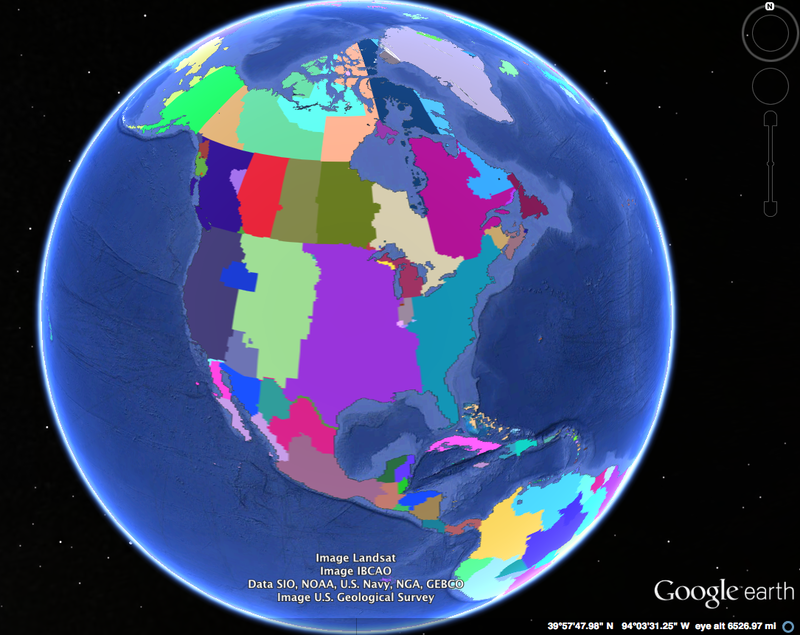 He also said that NaturalEarth is an amazing collection of map data--he's right. Once you do that search, you'll find there area a TON of data sets. So I downloaded a bunch (trying to look for ones with fairly recent dates), and ended up just importing them into Google Earth Pro to plot them on the globe. 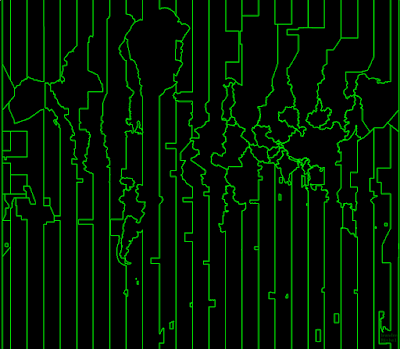 While there are many, I especially liked the tz_world_mp shapefile (which was labeled as having ALL of the timezones worldwide, from 2013. The data source page also says that "The geometries are primarily derived from the fip10s data (itself derived from the VMAP0 data, provided by the US National Imagery and Mapping Agency--aka NIMA), and then augmented with data presented in the pages for the maps of the United States, Canada, Russia and China. Time zone map from Wikipedia. What Brandon did in his map (and what most traditional timezone maps do) is to merge time zones that follow the same time procedures. When you merge equivalent time zones together, you get something more like the ordinary map. But there's still something interesting here when you look more closely. Here's a chunk of southern US and northern Mexico. What ARE all of these colors? 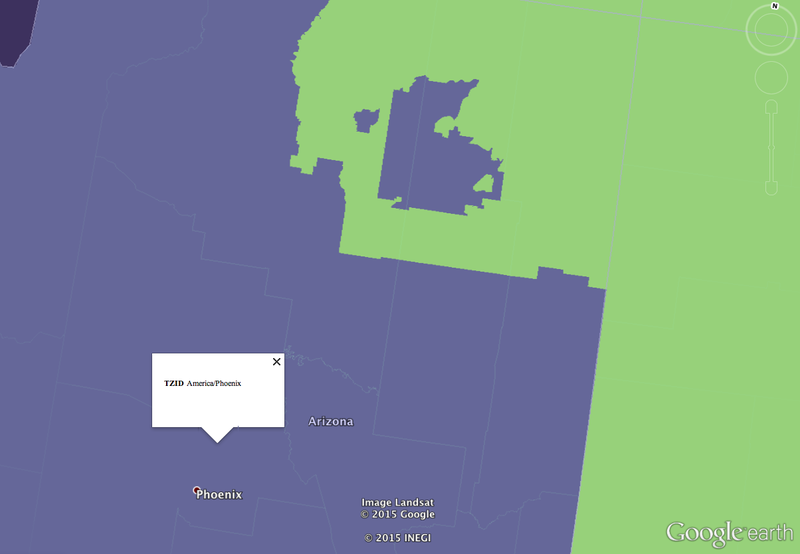 To find out, I zoomed in on Arizona and clicked on the middle of the slate-blue area near Phoenix. That popup appeared when I clicked on it. Okay... NOW what's "TZID America/Phoenix"? The first -7:00 is for Standard time, and the second -7:00 is for Daylight Savings time (which means they, Arizona, don't follow Daylight Savings time. And neither does anything that's colore slate-blue. 3. Once you've made that map, what's the strangest time zone anomaly you can find? 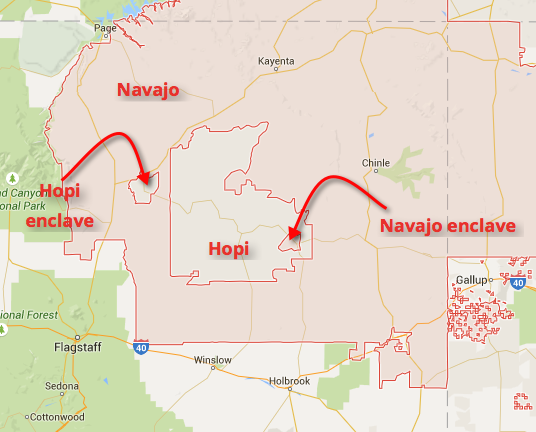 But within the Navajo reservation is the Hopi reservation, and within that there's a Navajo enclave... and likewise, there's a second Hopi enclave! 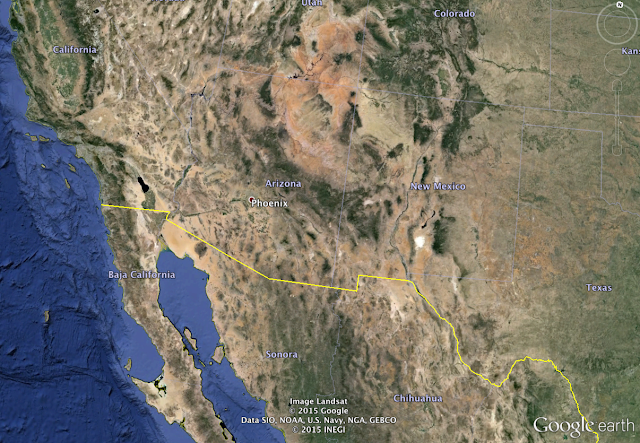 As you can see from the map above, the Navajo follow TZID America/Phoenix, while the Hopi follow TZID America/Denver. 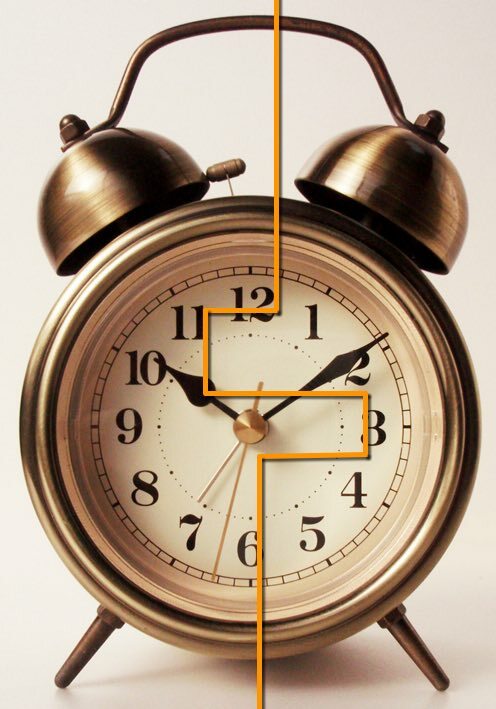 Since Denver follows Daylight Saving time (they go back one hour in the fall) and Phoenix does NOT, this means that a straight-line 100 mile walk, it's possible to shift time zones 7 times. We won't even start to talk about that complicated area near Gallup, NM. But you can lookup why TZID America/Ojinaga (that heavy pink line running at the bottom of New Mexico and Texas) has its own Time Zone. For a truly brilliant explanation about Daylight Saving Time, TimeZones, and about the Navajo/Hopi time zone eccentricity, I highly recommend CPG Grey's video on the topic. (H/T to Simon Tong for the link!) His Arizona eccentricity starts at 5:01 into the video, but the entire video is worth watching. 2. For lots of easy geographic applications, Google Earth is your friend. Note that the Google Earth Pro version is now FREE! (Hurrah! It used to be expensive.) This allows you to import all kinds of files and then slice/dice them for layering and analysis. once you've spent some time on a topic--like our Search Challenges--you start to notice these things in your daily life. 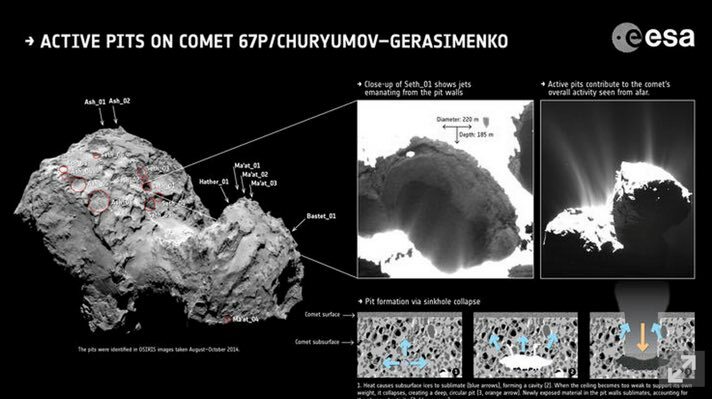 Comet tales: I know a lot of you have been watching the saga of Rosetta / Philae and the story of Comet 67P/Churyumov-Gerasimenko. As you remember, the lander finally landed on the comet and then fairly quickly went silent. 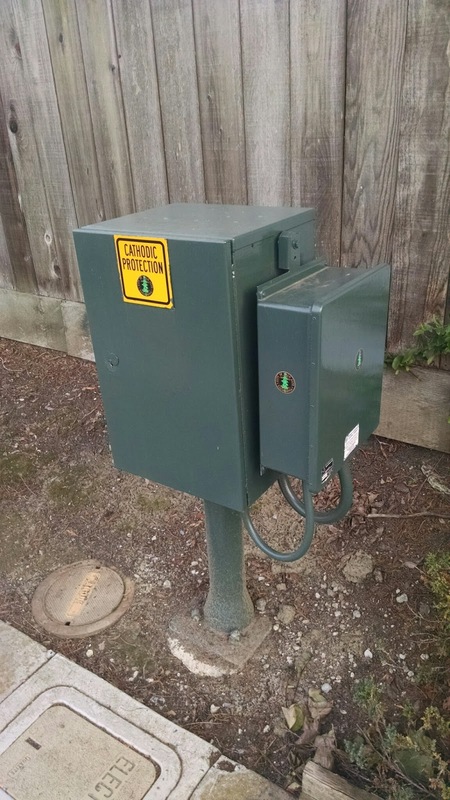 (Apparently it landed in the shade and couldn't recharge its batteries, so it went into hibernation. Then, after a number of weeks, the sun came out, it warmed up and got a charge back. Now it's gone offline again (on July 9, 2015). With luck it will come back. It's done so before. Stay tuned. Giant sinkholes seem to have formed by some kind of collapse on the surface. The pits can be found in just a few regions on the comet. There are small groups of them on both the "head" and "body" of the rubber-duck-shaped comet, but nearly all of them appear in the comet's northern hemisphere. Cameras on Rosetta's OSIRIS instrument have spotted dust jets shooting out of some of the deeper depressions, but those that are more shallow do not seem to be active. Mudejar Stars: I don't know about you, but I keep spotting these everywhere. Of course, it helps that I live in California, which still has a strong Spanish heritage. 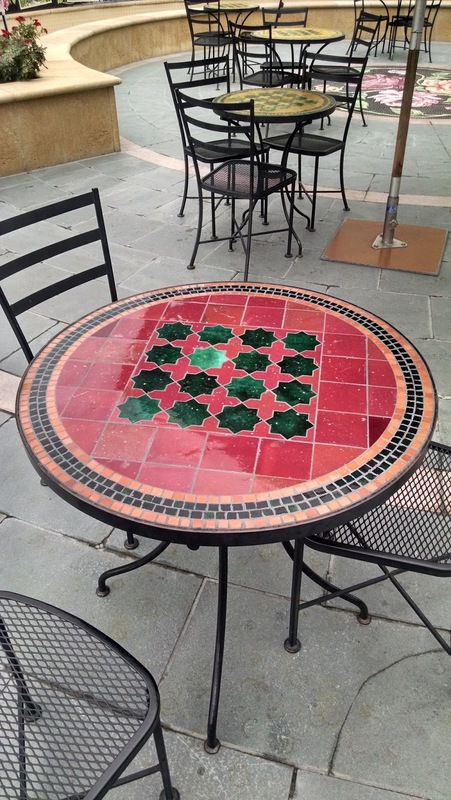 I'm in Pasadena today, and as I was walking to the Cognitive Science conference, I walked past a pretty table... with that star pattern. I like this not just for the repeated star pattern, but also for the "negative space" between the stars (look at the red plus-sign pattern in between the stars). 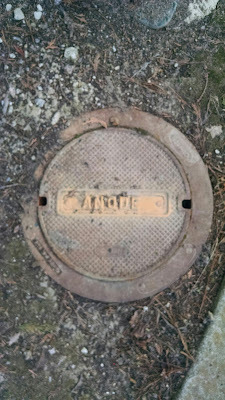 Anode in the street: Remember our discussion about those things embedded in the street labeled "Anode"? And it has THIS on the back of the box, which pretty much confirms what we found in our original research. Basically, reading this blog primes you to notice these things. And if you notice more about how you search, and learn a few really interesting things about the world, I'm happy--the blog is succeeding! 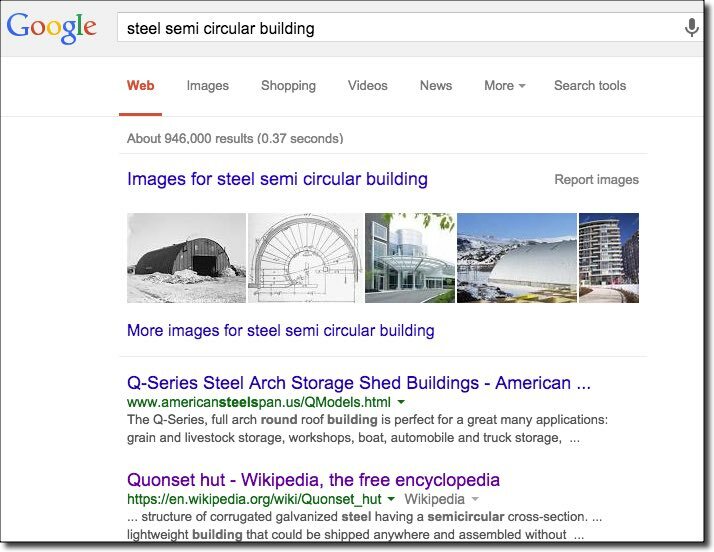 Search Challenge (7/22/15): Time zone eccentricities? ... are a 19th century invention, really. TIME has always been around, of course, and for the largest part of human history, time was defined by whenever noon happened locally. That's easy to figure out, but as tech advanced, we suddenly needed to define time carefully so (for example) trains could arrive on time. Eventually we figured out that creating time zones, that is, regions of the planet that all share a single clock time, was a great idea. 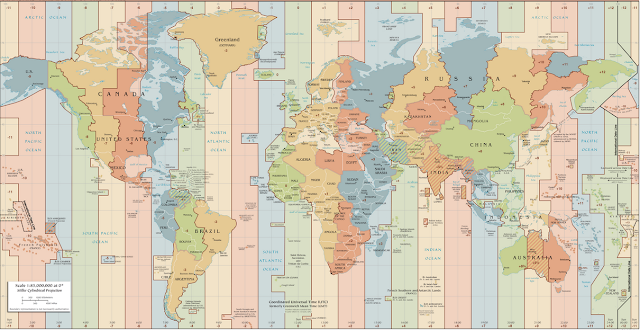 The obvious thing to do would be to create 24 time zones, each defined by a line of longitude. But then things get wonky: the longitude lines ignore things like country and city boundaries. It would be a real hassle to have the west half of your town in one time zone, and the east half in another. So.. time zones have interesting boundaries. I was looking at one such map the other day and noticed that it's extremely strange in places. And when things get strange, that looks like a Search Challenge. I know this sounds kind of difficult, but I suspect it's simpler than you might expect. And when you've found that anomaly, be sure to tell us HOW you found it and WHY you think that's the oddest anomaly. Here's one of my favorite pictures from my 2004 trip to Fiji. It's where the date line crosses through Taveuni. Yeah, it's Sunday on one side of the sign, and Monday on the other. It has to happen somewhere! Answer: What kinds of buildings are these? 1. What is this kind of building called? Why does it have this distinctive shape? Building Type A: It's located at 47.5529417,-122.3365972 -- What kind of building is it? 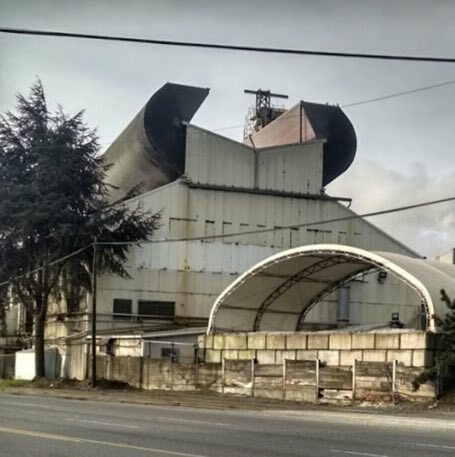 I've seen this peculiar building shape in lots of industrial areas, but never really knew what it was all about. The Challenge is to figure out what/why/how! I searched for quite a while to figure out this one; probably 90 minutes all together. I tried queries like [industrial building profile] or [shop building elevation] or even [industrial building design] (along with truly hopeless queries like [roof with horns] and [dual ventilation industry]). Out of desperation I wrote to an architect friend and asked--"What is this?" He replied, "I have no idea, but I've only ever seen them used for glassworks." So I went back to Streetview for that location and checked out the sign on the street. Notice that building shape in the upper right background, AND notice the graphics on the wall behind the sign... lots of glass bottles. Streetview of the corner near the lat/long given. A quick search for [Ardagh Group Seattle] tells me that they are known for "Excellence in glass and metal packaging." A ha! A clue! which led me to a QA site at the Corning Museum of Glass where someone asked the question: "Old glass factories have a distinct kind of roof design. Is that for ventilation? What is it called?" 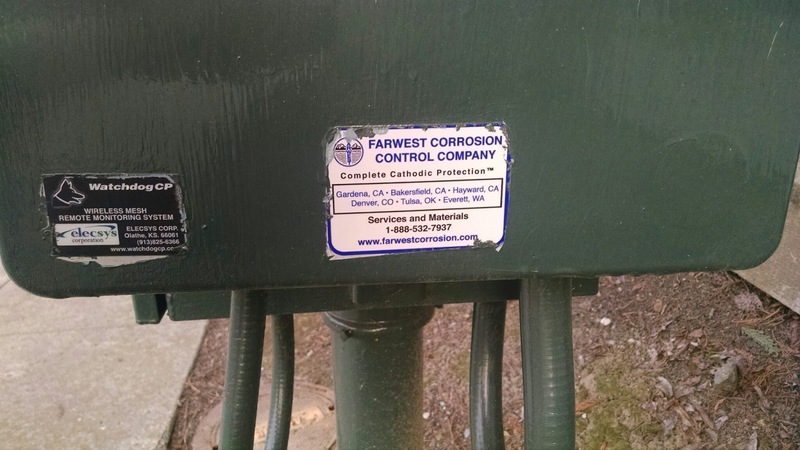 Armed with that information, it's pretty easy to find buildings with these devices. 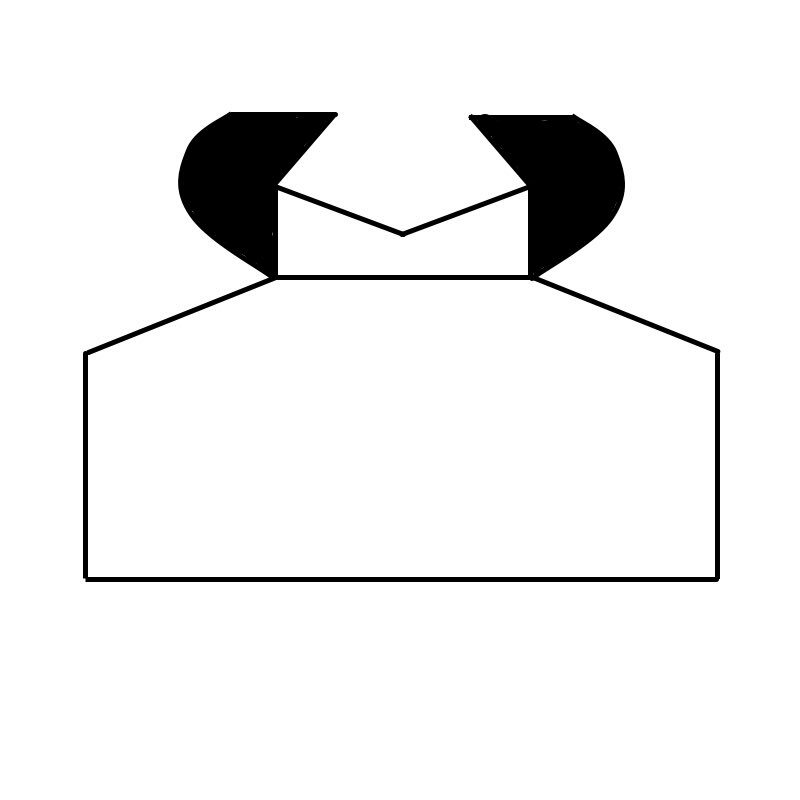 Building Type B: You used to see this distinctive shape everywhere. There are still a bunch of these buildings out there, often repurposed from their original use. What are these things called? 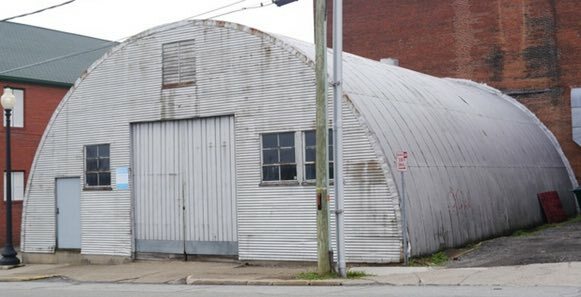 I think most people just recognized this as a Quonset hut. I'm impressed that so many people just know this. But if you didn't know what it was, how would you search for it? you can see I found it pretty accurately. I was impressed with all of the web sites that Regular Readers found. Check out the Quonset Hut: Metal Living for a Modern Age website (and book), or the Seabees web page about Quonset huts. One of the key advantages of the Quonset hut design was that it's"...so simple to erect that anyone who could hammer a nail could set it up. 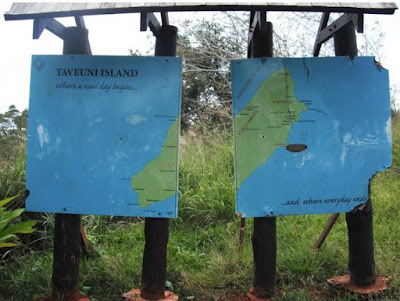 A crew of just 6 experienced men could build a hut in a single day." Building Type C: Here's another common industrial building design pattern. Why would they make the roof like that? In two of the three cases, fairly straightforward descriptions of the buildings just worked out without any problems. I DID have to modify my query about semi-circular buildings to add "steel" into the query, but that only took a second or two. But finding Building Type A was tough! Why was it so hard? Because I had almost nothing to go on. I didn't know what to call something like that, and without a speciality term, all I had were vague, overly general search terms ("industrial" and "horn-shaped"). ... that figuring out Building Type A was a little tricky. It took me about 90 minutes of searching before I found the path that worked. But I WILL tell you that between the post and the comments, you have all the information you need. My hint, though, was the observation I made that the "horns" at the top of the building are an add-on to the building itself. 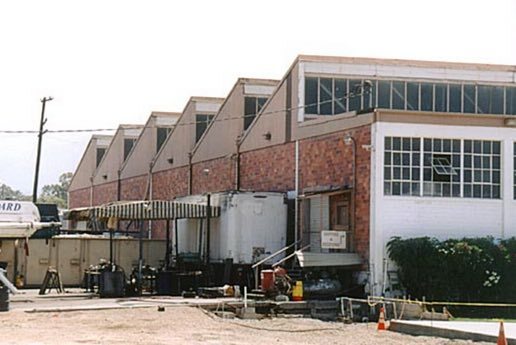 They're commonly used for these kinds of manufacturing buildings. In this sketch, the black horns + the M-shaped piece are all thought of as one unit that sits on top of the building. FWIW, I made this sketch in the hopes that doing an Image Search on this would give me the right answer. But it didn't work out; I got lots of nothing with this. On the other hand, now you know: All of the information (key terms and concepts) you need is right there in front of you. Search on! Tell us how it's going for you? 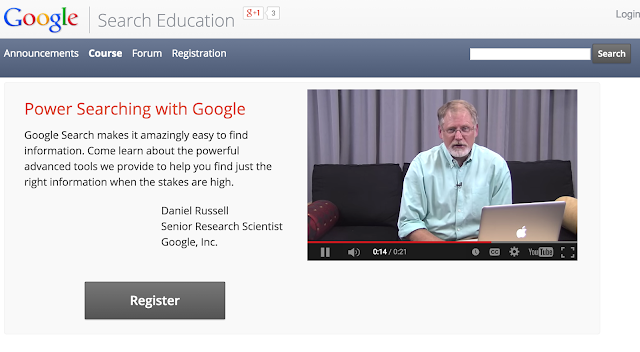 my MOOC ("Massive Open Online Course") called PowerSearchingWithGoogle.com has been fairly successful. We opened it a little over two years ago, and it's had a bit more than 600,000 students go through the materials. I'm happy to say that we're launching a NEW and UPDATED version of the MOOC this coming Monday. You can register now, and then proceed through the course at your own pace after it opens. I'll open the first half of the course on Monday, then the second half the following weekend. This is what a we call a "soft launch" -- that is, the total number of students in this offering will be around 1000 or less. We're keeping the number intentionally low so we'll have the capacity to handle issues if / when / should they arise. We'll then re-offer it in August and September (and probably forever more after that), but I'll be around to be a TA and answer your questions during the next 3 cycles of the class. Now, if you're a regular reader, there's probably not much in the MOOC that will surprise you. Still, if you're a fan of SRS, you might consider checking it out. If you score well on the midterm and final, you'll get your own certificate of successful completion of the course (with your very own gold star)! Hope to see you online! Search Challenge (7/15/15): What kinds of buildings are these? ... by old industrial buildings. Maybe it's a side-effect of having grown up in Los Angeles, where there were many older buildings from the industries that abounded in south-central LA. I saw all of these buildings growing up, and now as they begin to fall out of favor or use, I can't help but see them with a bit of nostalgia. But despite having grown up with these buildings, I'm not sure I know all that much about them. 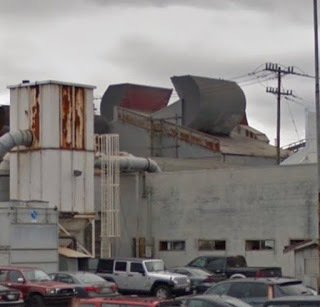 Can you help me identify what these typical industrial building types are, and why they have these peculiar shapes? The bottom picture is the original HP building from many years ago. 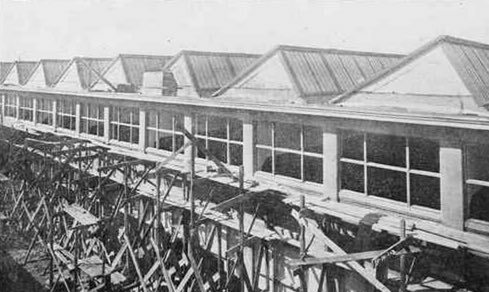 This view can't be seen any more, but for years, the building poured light into the night sky of Palo Alto. I lived about 1 km from this building for a while, and got to know it well. As with the others, this is a common pattern you see in many places. Just curious: Why such an odd roof? 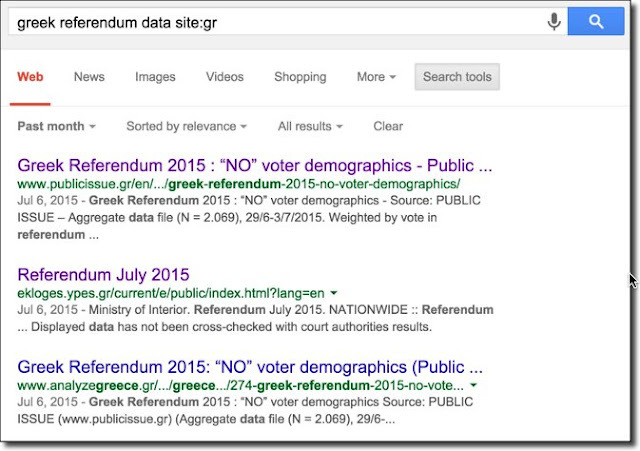 Answer: Data for the Greek referendum? HOW do you find official information sources, especially for events happening outside of your normal information channels? 1. PublicIssue.gr -- you can check out their EN language "About" page and find out they're an opinion polling firm for Greece. Do these sources agree with each other? PublicIssue reports that 61.3% voted no. 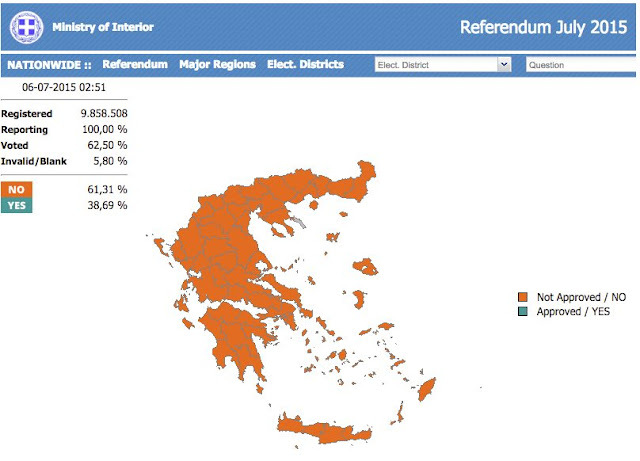 Ekloges (the Ministry of the Interior) reports that it was 61.31% no. And AnalyzeGreece reports the same, 61.31%. In fact, every place I checked reports the same number. No doubt there. Handily, the Ekloges site also includes a tabular breakdown by "Election Districts" (or "Major Regions," if you want less granular data. I was going to download the data and do some graphing, but a couple of additional clicks led me to the district-by-district map of voting results. That's pretty much the final word in Greek voting for this referendum. It's the map by the government. When I looked at the Ministry's data, I couldn't figure out which district that was. Odd. I also found the Guardian newspaper's interactive voting map, and it also didn't register any votes. My curiosity was piqued. So I flew to Google Maps, zoomed in on that part of Greece and was surprised to see a dashed line marking off this peninsula. As you can see, the dropped pin associates the name "Mt. 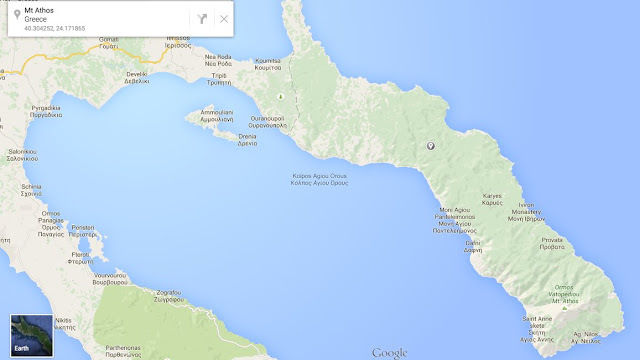 Athos" with this region. So... What is Mt. Athos? A quick search shows that it's a UNESCO designated World Heritage site, and is described as "An Orthodox spiritual centre since 1054, Mount Athos has enjoyed an autonomous statute since Byzantine times. The 'Holy Mountain', which is forbidden to women and children, is also a recognized artistic site. The layout of the monasteries (about 20 of which are presently inhabited by some 1,400 monks) had an influence as far afield as Russia, and its school of painting influenced the history of Orthodox art." A bit more poking around and you can learn that the monasteries are reachable only by boat, and that only adult men can visit. It's a serious, serious monastic existence. 1. When searching for data from another country, a site: restriction can often save you a LOT of time. In this case, I got kind of lucky--the official Ministry of the Interior showed up in the second position. 2. Still, when looking for data, check around for alternative stories. In this case, every site agreed with the official data (but that's not always true!). Still, always check for consistency in the data. 3. Be sure you understand the bias of the sites. You saw that AnalyzeGreece.gr proudly describes itself as leftist. Not all sites do; sometimes you have to look at their written record to see where they're coming from (and take heed--sometimes a single source will have multiple writers with a variety of viewpoints, some right, some left, some from extreme positions--one writer doesn't (usually) define a news site's stance. 4. Sometimes clicking around on a site can save you a BUNCH of time and trouble. Just as I was about the scrape the data from the Ministry's website, I found their charts, which were exactly what I was seeking. Be sure you're not duplicating effort. A minute of clicking can save hours of your labor! Thanks to all for everyone's hard work on this. And thanks again to Miguel for the idea. Answer: What's the story with the star?